This event is meant for people with autism who are looking to use their strengths to gain employment and join the workforce! 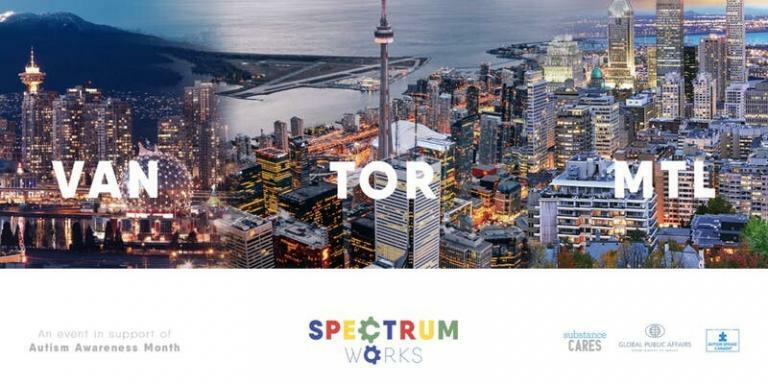 In support of Autism Awareness month, Spectrum Works created the first ever job fair with some of Canada’s top employers interacting with people living with ASD in three cities across Canada. Their aim is to continue breaking the stigmas associated with people living with ASD, that they are unable to be a contributing member in the workforce. When given the opportunity, individuals can do a wonderful job. Which is why we are taking a proactive approach in pairing employers with employees. If you are on the spectrum and would like to attend this job fair, please register as you will need to check-in at the location. Pre-registration is not mandatory but will save you time at the job fair to fill out information needed. This entry was posted on April 8, 2019 by Events Manager.